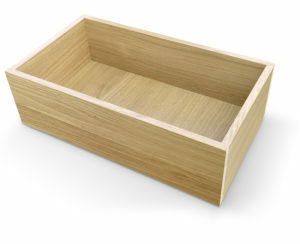 Clients often specify dovetail drawers because they like the warmth associated with wood products, especially in the “heart of the home”. 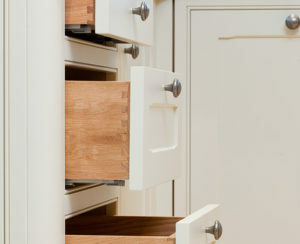 When kitchens are made using standard size carcasses, both lay on and in-frame, Classic Swift dovetail drawers elevate any kitchen out of the ordinary and into the extraordinary. 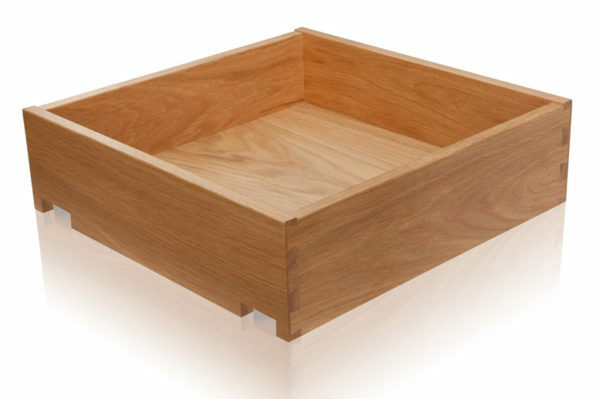 Dovetail drawers are time-consuming to manufacture yourself – outsourcing to Probox allows your skilled craftsmen to concentrate on more critical areas of furniture construction. If your requirements cannot be fully covered by the Classic Swift range you can match with Classic Bespoke as necessary. Classic Swift drawers are sized to suit the under-mount runners from Blum and Grass (not compatible with Hettich Quadro 4D V6), based on 18mm thick carcasses. For in-frame applications the sizes suit a 36mm wide front frame.